Suspension Module Brace Kit - Grip N Rip Racing LLC. 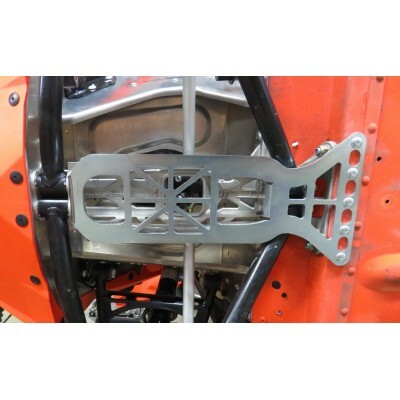 We have redesigned our popular skidoo xp front end brace from a two piece brace to a one piece brace/skid plate design. The new one piece brace is much easier to install and is stronger than our original brace. Attaches with rivets to make it easier to install especially on 4 stroke sleds. New shape doubles as a skid plate protecting the S Module. Has the same weight as our other 2 lower brace kits. A must for all skidoo XP/XR/XS/XM and XU expediton sleds 2008 to present. Made out of steel and is zinc plated. Weighs only 1.8 lbs.